India Cummings was beaten to death by Erie County jail holding centre deputies in Buffalo NY on 21 February 2016. The Buffalo News reports there is an ongoing investigation of the Erie County Holding Facility itself, which began prior to India’s mysterious death. It’s reported that Federal Authorities are continuing to monitor the jail, which they have described as “BRUTAL and INHUMANE”! The State Commission of Correction investigated the death of India Cummings and found that Cummings ultimately died of acute renal failure at Buffalo General Hospital after suffering cardiac arrest in her Holding Center cell. In their report, the commission noted that due to her "continued neglect during incarceration, her death should be ruled a homicide due to medical neglect." The Medical Review Board also said Cummings' "obvious mental status and lack of cooperation in the screening process" should have resulted in a referal to the Erie County Medical Center. 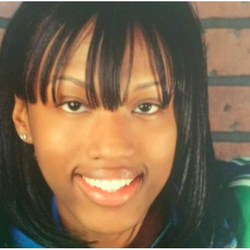 In June 2018, a final report from New York Commission of Correction recommends the cause of death for 27-year-old India Cummings be ruled a homicide. On Thursday September 20, 2018, the attorney general’s office confirmed it would open an investigation into Cummings' death, something long called for by protesters and Cummings’ family alike. In February, 2019, the family of India Cummings filed a new lawsuit against 72 sheriff's deputies at the Erie County Holding Center.